Oheka Castle in Huntington, New York has got to be one of the most magnificent venues for a wedding anywhere in the world. I have had the experience of working at this amazing location on numerous occasions and it never gets old. From the stone archway that enters into the cobblestone courtyard at the front of the mansion, to the double grand stairways in the lobby, to the breathtaking grand ballroom, to the intimate library, to the fabulous boxwood gardens with tree-lined paths and reflecting pool...there is nothing that doesn’t rival the most exquisite catering venues in the world. In fact people do come from all over the world to visit Oheka and host their weddings and other events here. Movie directors have captured the charm of this location on many occasions. It’s luxurious grounds and magnificent architecture has been featured in such films as Citizen Kane, The Great Gatsby and Crocodile Dundee. The Food Network, Victoria’s Secret and WeTV are chronicled among dozens of television features filmed here. Too many advertisements to list have been photographed here but some of the more noteworthy clients include Audi, Lexus, Martha Stewart, Ralph Lauren and Vogue magazine. In fact Taylor Swift recently filmed her video for "Blank Space" here at Oheka Castle. You get the idea. This place is truly special! 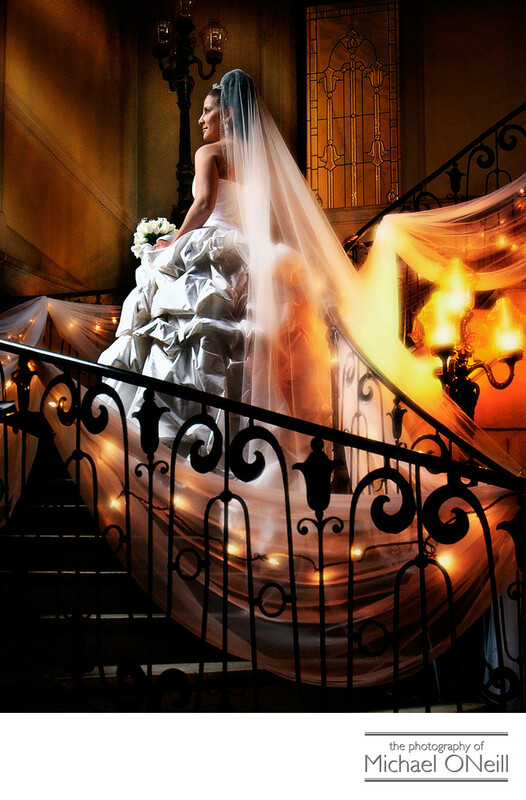 The venue is a bride’s dream and a wedding photographer’s dream as well. The perfect bridal client will provide for a few hours just for photographs so we can explore and exploit every square inch of this magnificent mansion. If you are looking for the best photographer for the finest wedding venue in the Greater New York NYC area, look no further than my East Northport, Long Island studio, which is located just 15 minutes away from Oheka. I would love to discuss your plans and desires for your event and plan the perfect wedding photography experience with you, your friends and your family. Give me a call.